Online Application Details for Assam Postal Circle India Post Recruitment of 2 Skilled Artisan is given below. Application form and duly attested documents are to be sent to The Senior Manager, Mail Motor Services, Meghdoot Bhawan, Panbazar, Guwahati-781001. 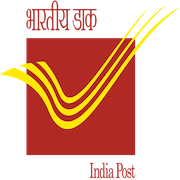 In envelope super scribed with'Application for the Post of Post Name'.